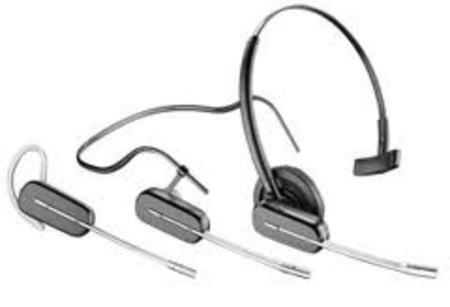 The Savi 440-M is the flagship of Plantronics 400 Series of headsets. It is a PC / Lync wireless headset system with DECT technology that provides the portability, range and audio quality needed for today's flexible worker. And when you are ready for your next location, just pack it in the carrying case and go. 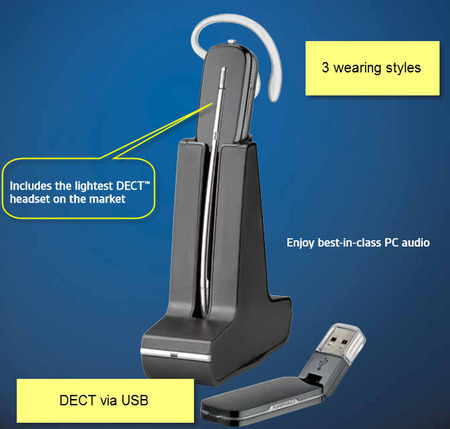 It's the only DECT headset system designed to go where you go. * Additional battery sold separately. In order to take advantage of unlimited talk time and charge 2 batteries simultaneously you will need either a Deluxe Charging Cradle & Battery kit (84601-01) or a USB Deluxe Charging Kit (84603-01), both of which are sold separately. Plantronics Savi 400 Series brochure.